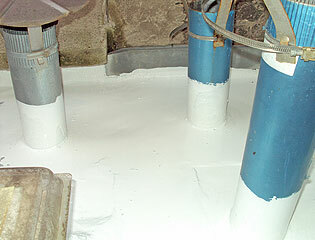 The liquid roofing of ETS Europe. 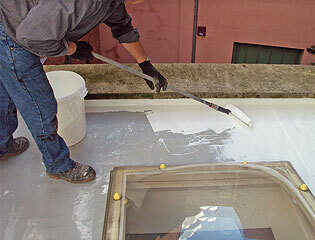 Hypertectum roofing is a liquid without plastic reinforcing mats or fibres, and without seams. Hypertectum can be excellent posted on both horizontal and vertical planes. Connections, click commit upstands, dormers, and other interruptions are no problem because of the excellent adhesion properties. Hypertectum ® offers the best solutions for water sealing and protection of roofs, tanks, asphalt membranes, car car parks and stadiums, bathrooms, verandas and balconies, EPDM membranes etc. etc. Hypertectum is a componentig one system. Excellent applicable to complex roofs. The elasticity of hypertectum is (400 to 600%). Can make with a brush, roller or hypertectum with through Aires spraying. Hypertectum has a very high tear resistance. 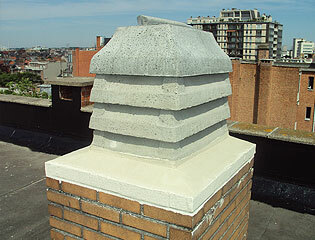 The solution for renovation of existing roofs. Hypertectum guarantees a watertight connectors by excellent adhesion on various materials. Waterproof roof after application of Hypertectum. 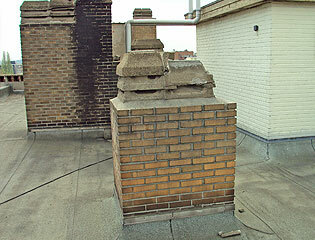 Hypertectum is excellent applicable to complex roofs. Make connections, dormers and other interruptions are no problem for Hypertectum. Hypertectum has a very high tensile strength. Hypertectum attaches also excellent on concrete. 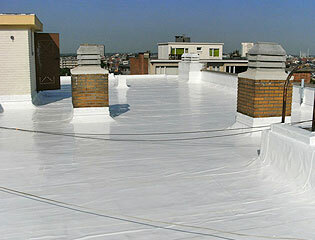 Waterproof roof after application of Hypertectum. 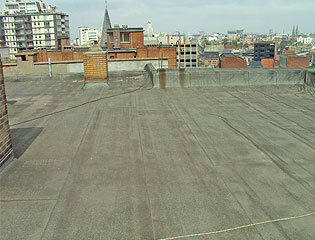 Flat roof Hypertectum before application of Hypertectum. If you want to know more about Hypertectum or a made to measure advice? Please contact one of our advisors.